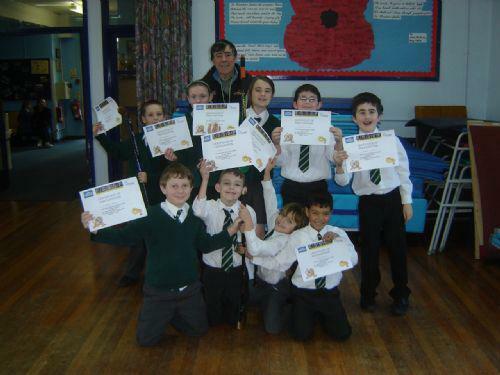 12 children attended a Crawley Hockey Festival at Hazelwick School on Wednesday January 26th. 15 schools took part and one of our teams came 5th with the other team not far behind. Our teams played very well particularly as they came mainly from our year 4 and were playing against other school teams from year 6. The children can be very proud of their performance and have learnt a great deal from the experience.